Teens today are busier than ever before. Between school, activities, sports, work, and social events, it seems like we’re always on the go! While it’s good to have a few enjoyable events on your calendar throughout the week, there often comes a point where it’s too much. 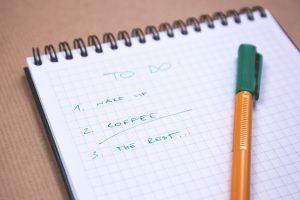 Overscheduling can contribute to many compounding physical and mental health problems, and it’s important to take a step back and see how you can modify your schedule to meet your health needs. 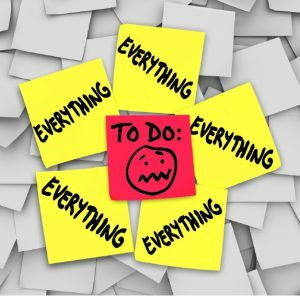 Overloading my schedule is something that I’ve struggled with for years (and continue to this very day). In high school, I participated in so many activities, such as majorettes, drama club, dance team, newspaper, Academic Games, and National Honor Society. I enjoyed each of these things on their own, but balancing them all at once, on top of my schoolwork, was incredibly difficult. My activities often conflicted with each other; sometimes I would have to skip or leave one early so I could make it to another. I worried so much about squeezing each activity into my schedule that I wasn’t able to enjoy them as much as I could have. Now, as a college student who is still involved in a number of organizations (fewer than in high school, though! ), I’m learning how to prioritize the tasks and events that I need to accomplish or attend based on my physical, mental, academic, and social needs. Sometimes I skip a club meeting if I need to do homework, or I turn down an event invitation if I need some time for myself or my friends. It’s still difficult at times, but I’m gradually accepting that I can’t possibly do everything, and that’s perfectly okay. Determine your priorities Are there any activities that you feel particularly passionate about? Do you need to set aside extra time for homework or relaxation? Consider what is most important to you and see if there is anything in your schedule that you could eliminate based on your priorities. Learn how to say “no” Sometimes you can’t fit everything you want to do into your schedule, or doing so would cause undue stress. Turning down something you really want to do isn’t always easy, but sometimes it’s the best thing to do for your own wellbeing. Get more sleep I know that this is easier said than done, but sleep is so important! Activities can run late into the evening, leading many teens to do their homework late into the night before waking up early the next day to do it all over again. This chronic sleep deprivation can lead to trouble concentrating, high blood pressure, a weakened immune system, irritability, and intensified anxiety and depression, among other issues. Aim for at least 8 hours each night – it will allow you to enjoy your activities even more! Allow for “me” time and fun events It might sound contradictory to “schedule” time for fun and relaxation when you’re trying to ease up your schedule, but taking this time to enjoy life is more important than ever in today’s busy, hyper-focused world. It’s a good way to remind yourself that life isn’t all about work, it’s about enjoying yourself and spending time with those you love. Do you find yourself overscheduling? What do you do in order to make things more manageable? Next story Why Does Organizing Help with Anxiety?